At Ideal Home Improvements we know that a residential door can create a lasting impression, not only acting as a welcome to visitors but sheltering your home from the weather and by providing you and your family security. 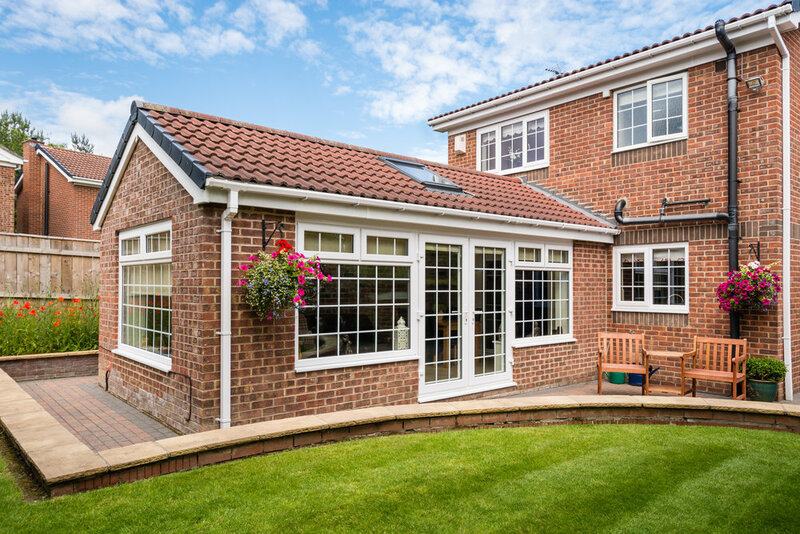 Ideal Home Improvements offer a diverse range of different types of doors for the front of your home, as well as rear doors to create an entrance into the garden. All are made to your exact requirements and include the latest high security locking technology with a wide choice of hardware. All of our doors, whichever type you choose, are professionally installed and fully guaranteed for a period of 10 years. A composite door personalises your home, makes a statement about you and your family and is the first part of your home that visitors see. Available in a wide range of styles and colours, from rich reds, blue and green to black and browns, all with a textured finish. White PVCu easy clean front doors are also available in a varied range of designs. French Doors create the illusion of space especially opening out into a garden or onto a patio and are often used from a lounge following through into a conservatory. French Doors can bring additional light into a room if fitted in place of a casement window, and the larger opening space can be used to move bigger items of furniture in and out of your home.